If you suffer from migraines, you know the struggle involved with trying to cope with them. Not only do they impact your physical health but they can also cause you to miss out on social, family, or work events. You may be afraid to make a commitment to something out of fear of when the next migraine attack will occur. 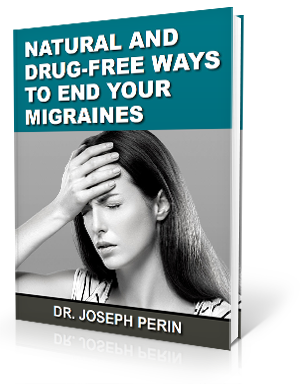 As many as 46 percent of people around the globe suffer from some type of headache disorder. However, migraines are not well understood in the medical community, making them hard to properly care for. Migraines are as unique as the individual suffering from them. Each one comes with numerous side effects. What triggers a migraine in you may be entirely different than what triggers one in your family member or friend. The brainstem, which is housed and protected by the C1 and C2 vertebrae, has been seen to be connected to the pain of migraines. The shape of the C1 and C2 vertebrae allows movement of the head in multiple directions. While this is beneficial, it also makes these bones susceptible to misaligning more than other bones. If a misalignment of the C1 or C2 occurs, blood flow can be hindered from reaching the brain (causing the first bullet point mentioned here) and neurological function can be negatively impacted. Upper cervical chiropractors have had much success in caring for patients with migraines. This is because we have been specially trained to find the misalignments associated with the C1 and C2 vertebrae. Once we find these misalignments, which may only be ¼ of a millimeter, we use a gentle method to help the bones move back into place without the need to pop or crack the neck or spine. This allows the body to begin healing, and communication and blood flow are restored between the brain and body. Our patients report seeing positive results often in only one or two visits to our office.